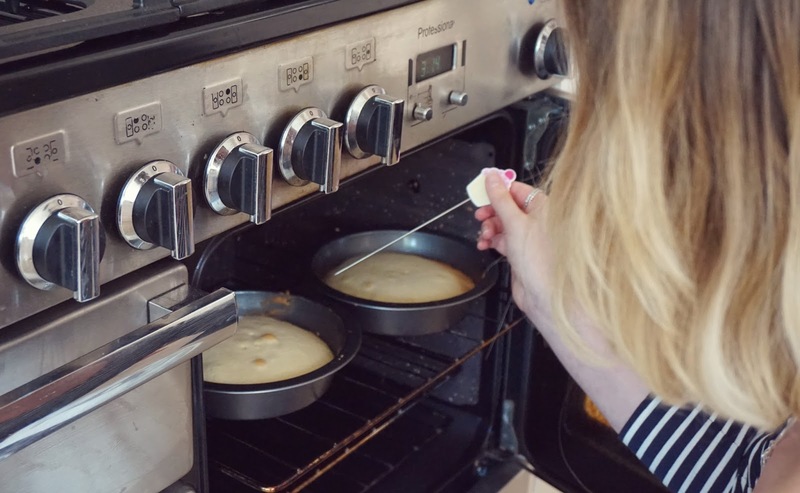 The blogging world has been well and truly bitten by the baking bug now that The Great British Bake Off has graced our screens for another glorious season! Now I won’t lie, I’m partial to a (large) slice of cake every now and then, and I love to get my bake on in the kitchen from time to time, so when Boohoo asked me to take part in their Blogger Bake Off, of course I couldn’t say no! I knew from the get-go that I wanted to try my hand at a tiered cake (probably because I wanted to pretend I was doing the GBBO Show Stopper round), incorporating the pink and black from the Boohoo logo. 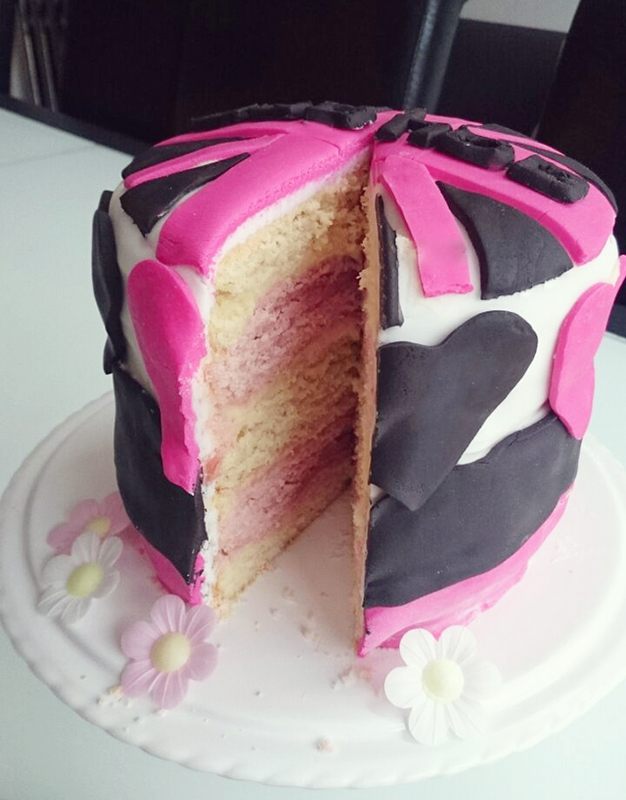 Initially I wanted to go for a rainbow cake, but having tried and failed to make one in the past, I decided to go for simple pink and plain sponge layers, then go to town on the decoration! 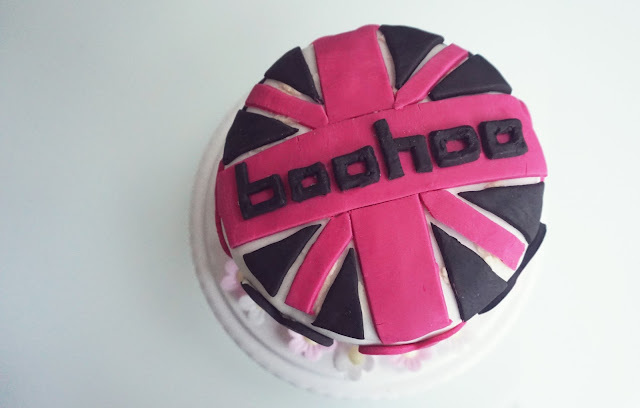 After a quick image search for variations on the Boohoo logo, I stumbled across this image and knew exactly what I wanted to do with the top of the cake! 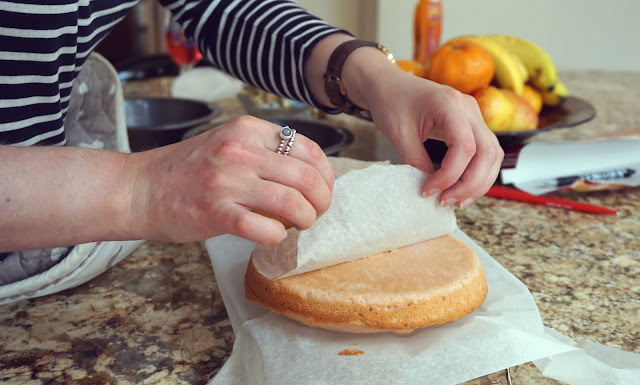 For the cake itself I followed this Good Food rainbow cake recipe, which I repeated three times to create six layers. 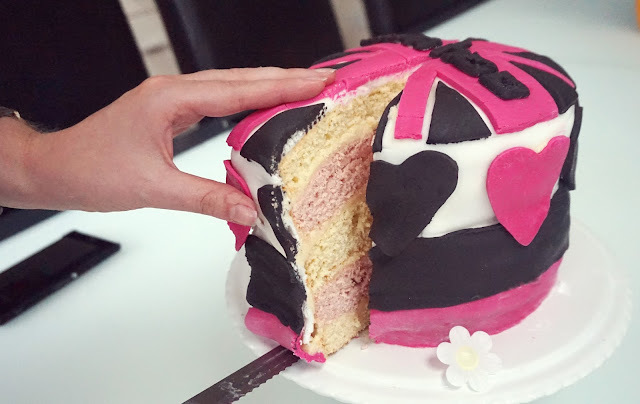 Three of my layers were left as plain sponge, and the other three were made in to pretty pink cakes with a good helping of pink gel food colouring. 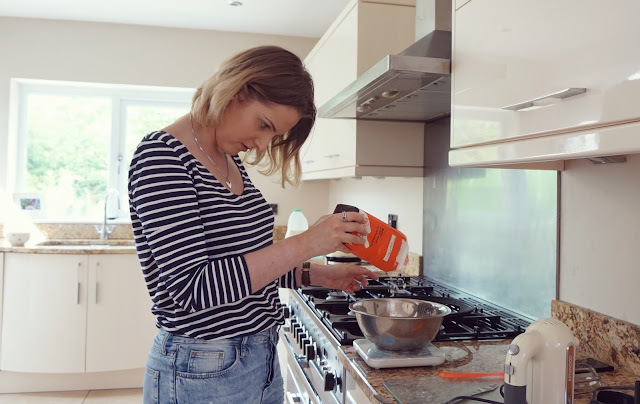 You may notice that finished cake actually only has five layers, but we won’t talk about that too much (well done Claire for screwing up the cooking times). 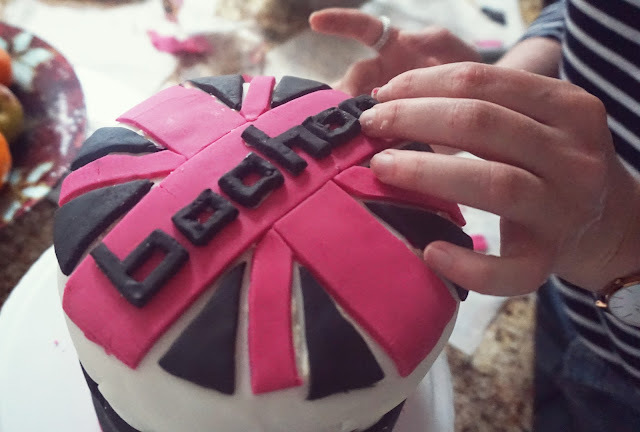 Once all the cakes were cooked and left to cool, I cracked on with the topping, rolling out white, pink and black icing to create my union jack design, as well as painstakingly cutting out individual letters to form the Boohoo logo (probably one of my proudest moments yet, I won’t lie). I also made the cream cheese frosting from the recipe, but found it too be far too runny to sandwich the cakes together, so I hot footed it to the corner shop and picked up a fresh batch of butter and icing sugar to whip up a quick and simple butter cream. Once the cakes had cooled, it was then on to the fun part! 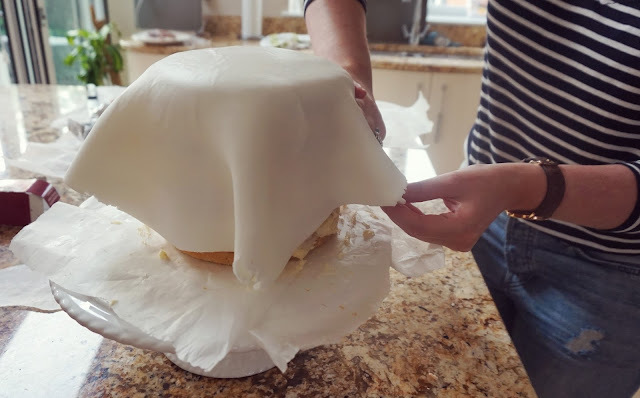 I sandwiched together each of my sponge cake layers with a good dollop of butter cream, then coated the sides of the cake before laying over my white icing. 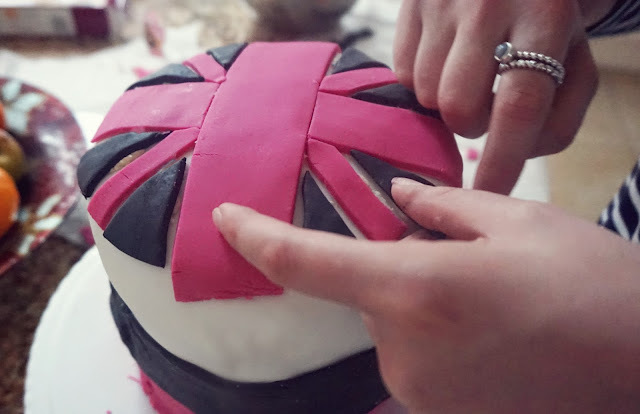 I then added a trim to the bottom of the cake with strips of the pink and black icing, and got to work on the union jack design on top. 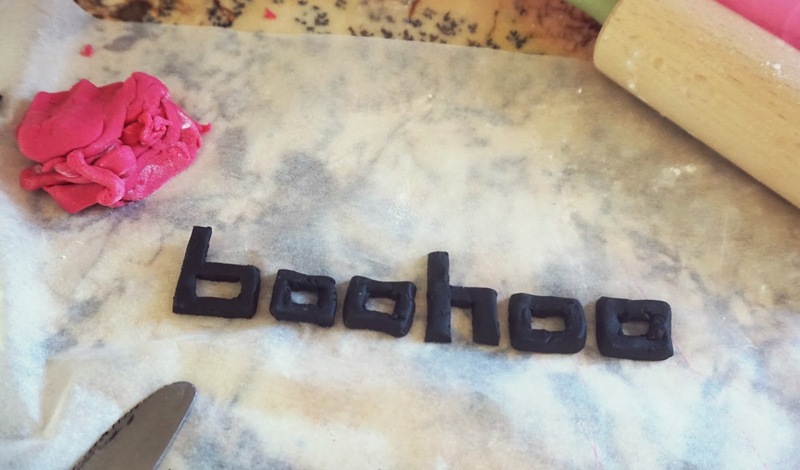 Once everything was stuck down securely, I then carefully added the letters on top, then with some quick thinking from my helpful sister, we used up the leftover icing and the heart shaped cutters to add some pretty hearts around the edges! 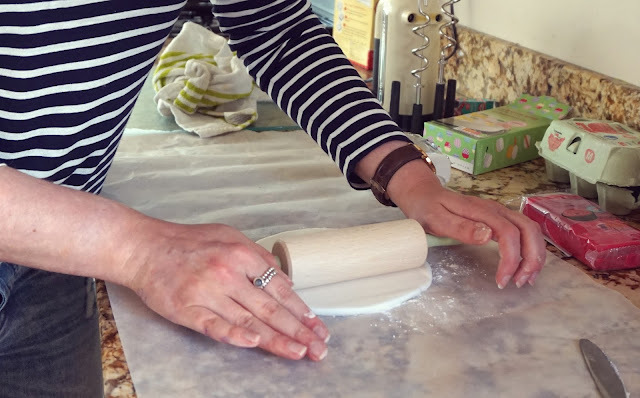 Voila! 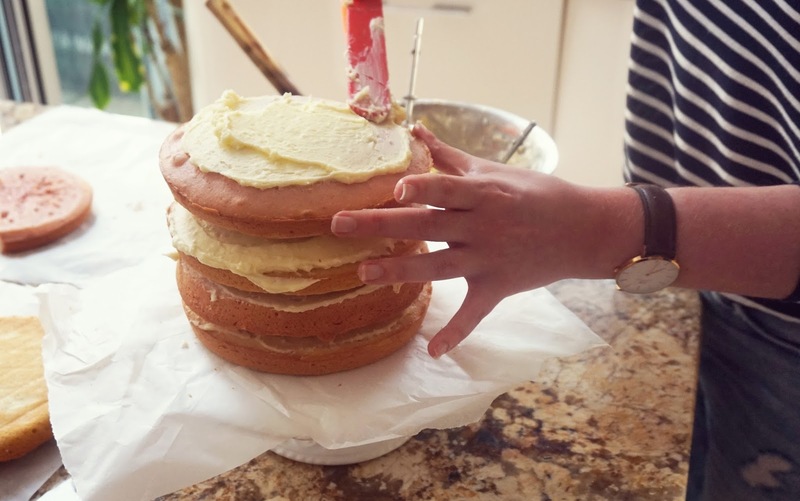 There you have my creation, and needless to say, it is (was – it didn’t last very long) as big as it looks! 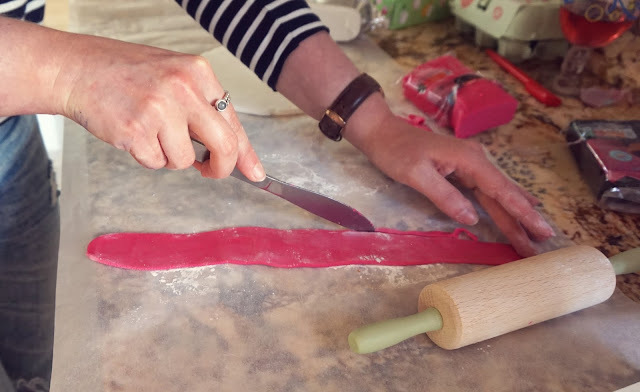 I absolutely loved spending my Saturday getting back in to home baking, and have already got plans to try my hand at the rainbow cake once again. 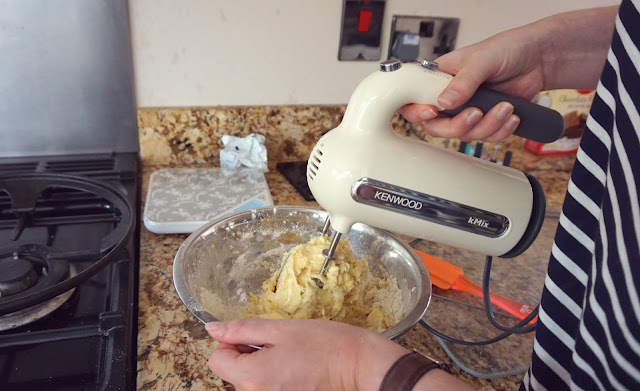 It may not be the prettiest or most perfect of bakes, but it tasted pretty darn good, and that’s what counts the most, right?! Thank you to Boohoo for asking me to take part in their bake off and to Tala for some lovely baking goodies. Special shout outs to my sister for loaning me her kitchen for the day, and my little niece for being chief photographer! 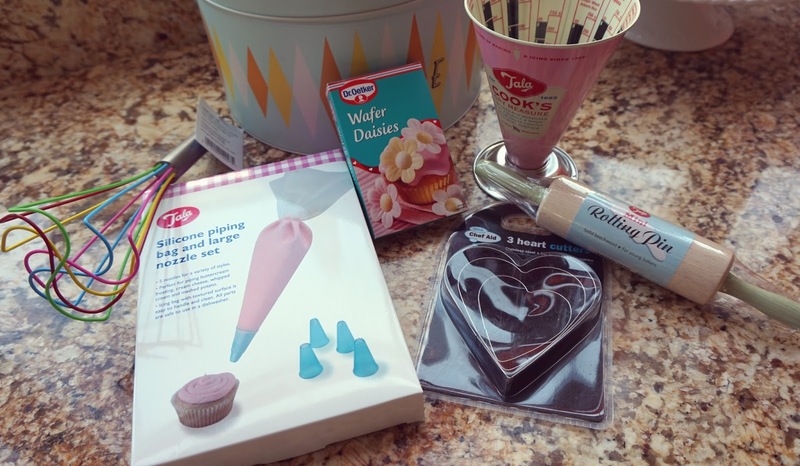 Check out the hashtag #wearebakers over on Twitter to take a look at everyone else’s entries! Can't wait on your next post! You've earned a subscriber! 🙂 More fashion styles!